In Partnership with the Ministry of Agriculture of Zambia and E-SAPP/IFAD project, PARM has organized a Capacity Development Seminar (CD1) on Agriculture Risk Management (ARM) held on 27th-28th June 2018 in Chilanga, Zambia. In Partnership with the Ministry of Agriculture of Zambia and E-SAPP/IFAD project, PARM has organized a Capacity Development Seminar (CD1) on Agriculture Risk Management (ARM) held on 27th-28th June 2018 in Chilanga with the objective to raise awareness and bring together the country experiences available on ARM. The training was delivered to 60 participants. 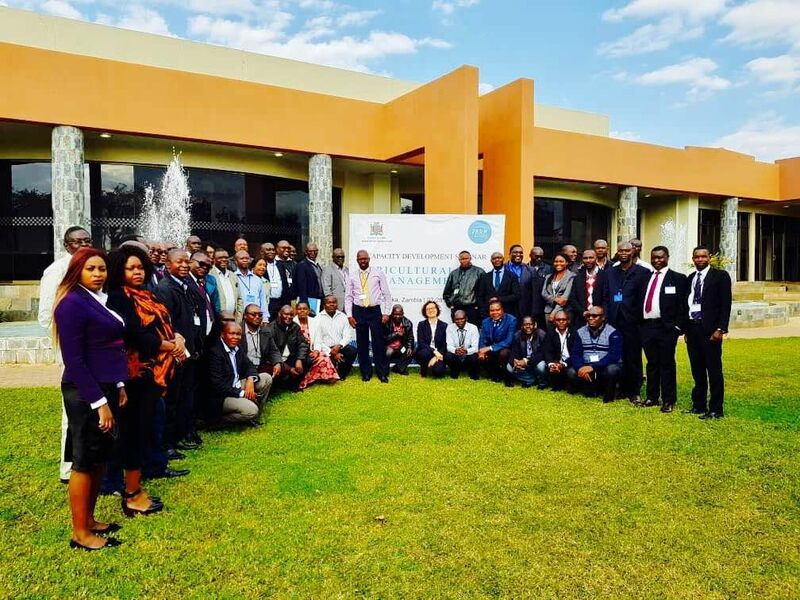 Most of the participants were government officers drawn from Zambia’s 10 provinces under the Ministry of Agriculture and the Ministry of Fisheries and Livestock. Other officers were from the Headquarters of the Ministry of Agriculture and the Ministry of Fisheries and Livestock, Disaster Mitigation Management Unit (under Office of the Vice President); Ministry of Finance, IFAD projects, farmers’ organizations, Zambia National Commercial Bank, and insurance. The seminar was conducted with presentations and discussions, and it was very appreciated by the audience. Providing basic knowledge and raising awareness on ARM topics, CD1 has successfully prepared the ground for PARM process in Zambia and upcoming activities.